From Rome to Paris and now Chicago, his combination of light and sound installations with classic works of poetry have offered a new interpretation of classic literature. 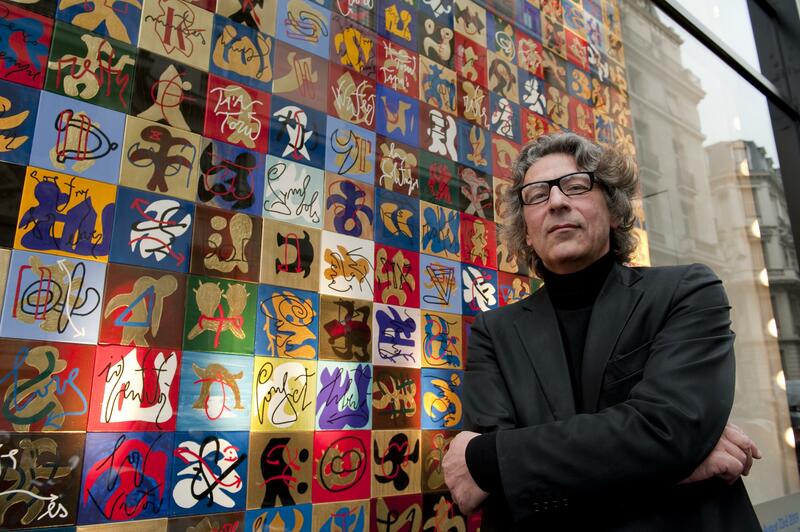 Tonight (June 24) at the Field Museum, artist Marco Nereo Rotelli will perform his latest endeavor inspired by Dante Alighieri’s fourteenth-century epic poem, “The Divine Comedy,” during this free public event as a part of the Italian Cultural Institute of Chicago’s summer event series. 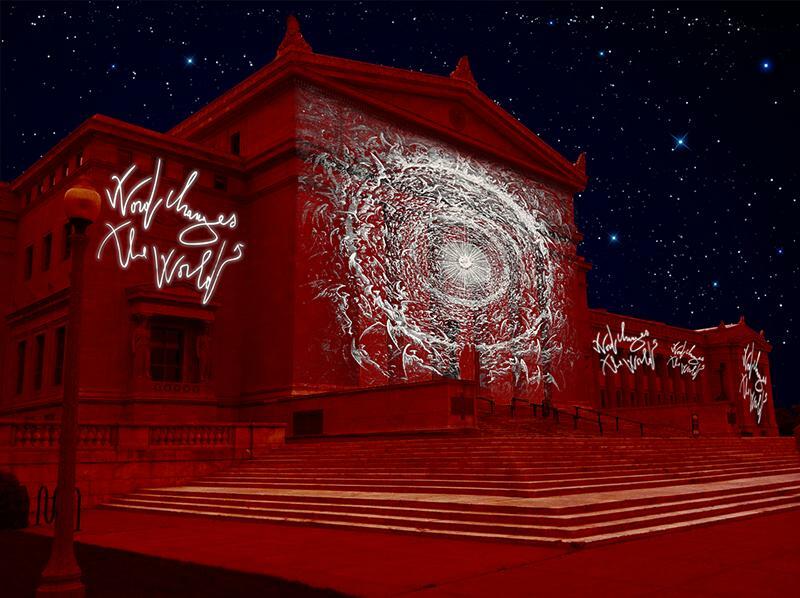 Throughout the show, text and images Rotelli adapted from Dante’s “The Inferno” will project across the Field Museum’s outer walls—images so vast they will be visible from nearby streets, buildings and even aircrafts. The light will act as an illuminated manuscript to guide the audience throughout Dante’s journey. “Marco’s installations are known throughout the world for combining artistic disciplines into a vivid spectacle that is powerful, but also ephemeral, reflecting nature itself,” Silvio Marchetti says, founder and director of The Italian Cultural Institute of Chicago. The event consists of readings from an array of poets, including SNL actress and writer Nora Dunn. The poems will be performed in varying languages—English, Spanish, Arabic, Turkish, Greek, Hebrew and, of course, Italian. Poets will choose a line of inspiration from Dante to create their own modern interpretation of the classic work. “This special project brings together a renowned Italian artist and so many other talented individuals that are woven into his work, from historical figures like Dante to local poets and musicians active in their communities today,” Marchetti says.